Go to the ClickBank Affiliate sign up form. Fill in the sections "YOUR LOCATION" and "YOUR CONTACT INFORMATION". It should look like this. 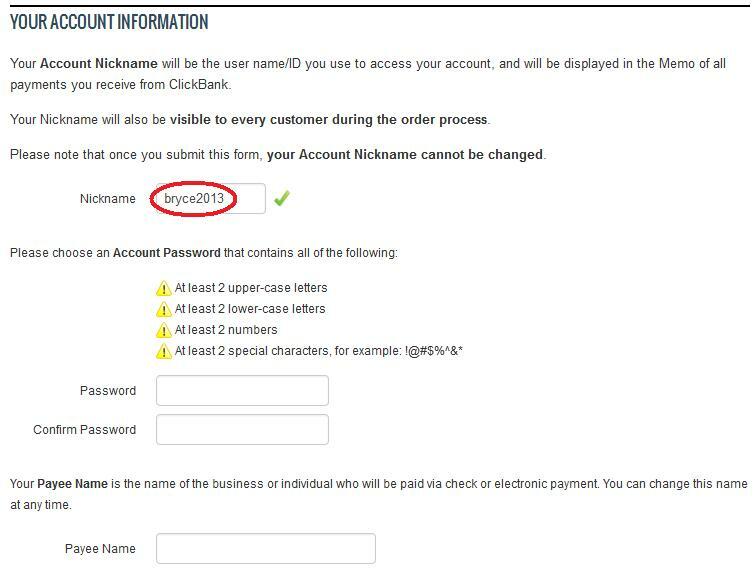 In the section "YOUR ACCOUNT INFORMATION" choose an Account Nickname. Write it down! This nickname is how ClickBank will know to pay YOU your hard-earned commission. 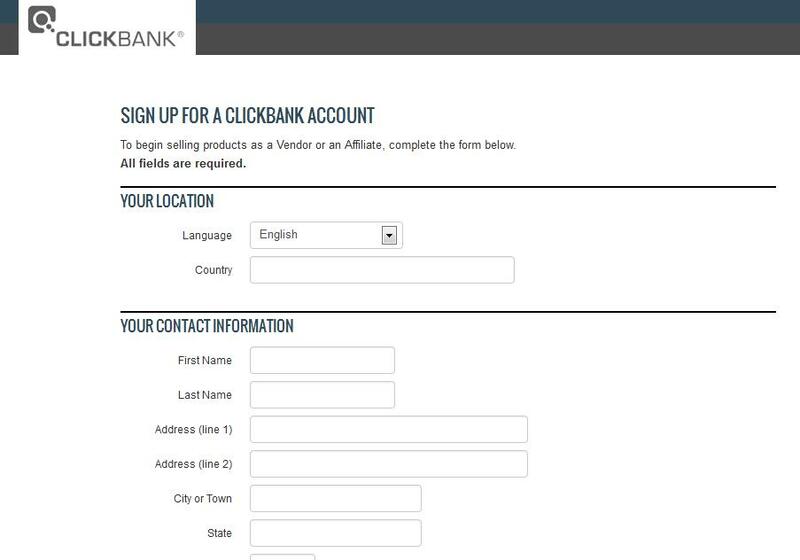 You'll need to use this ClickBank username in order to generate your own links back to our products. For example, in this picture, my Account Nickname is bryce2013. You'll also need to choose a password. Don't forget to use letters, numbers, and special character$ to make your password secure. Finally, provide the name of person or business who will be paid your commissions. Almost done! 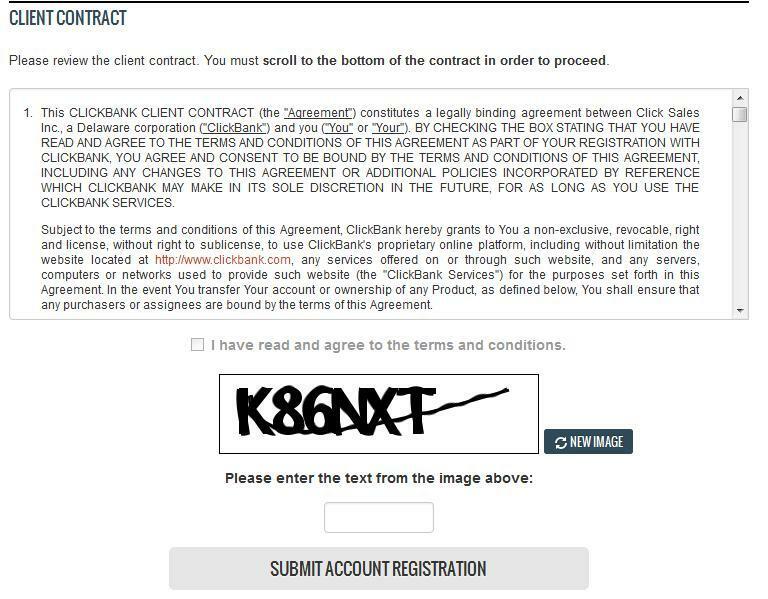 Make sure to read (and scroll) to the bottom of the "Client Contract". Make sure you're comfortable with the terms, check the box, and click "SUBMIT ACCOUNT REGISTRATION". Congratulations! You're a brand new ClickBank affiliate, and you're ready to start making money selling Spelling Words Well products! Go to our Banners Image and HTML page to start selling today! ClickBank also provides a wealth of information on getting started as an affiliate. If you have any problems signing up, or questions about becoming an affiliate, please contact us. We'd love to hear from you!